“We are already living in the post-Islamic State (IS) stage. Nineveh’s local government has been working on recovery, and progress is evident in terms of stability, reconstruction and provision of essential services in liberated districts, starting with Qayyarah, Shoura, Hamam Al-Alil, Hamdaniya, Basheeqa, Bartila as well as the left side of Mosul city” stated Nineveh Governor, Nofal Hammadi, during a roundtable organised by the Middle East Research Institute (MERI) on 18 April 2017. The event was attended by local leaders from Nineveh Province, Nineveh Provincial Council, mayors of the various districts, representatives from the Kurdistan regional government, minority groups and the private sector (see below for a full list of attendants). The event was aimed at engaging local leaders and other stakeholders in designing a roadmap for the future reconstruction and recovery of Nineveh. The participants shared their visions of the recovery process of Nineveh and highlighted recent milestones achieved within the liberated areas, particularly in relation to security provision, infrastructure repair, the reconciliation process and the return of internally displaced people. Among the currently approved plans is the ‘Nineveh five year strategy’, supported by the Nineveh local government, which is intended to be executed over three stages in the next few years. “Work is ongoing during the day and night to provide basic services, such as water and power, in the liberated areas as well as to clear the destruction caused by IS”, explained Hammadi. In addition, this stage necessitates a “more thorough and deeper understanding”, according to Al-Kiki, Chairman for the Nineveh Provincial Council, who called “all components of Nineveh to cooperate and participate in serious dialogue to further the recovery process”. A range of practical recommendations were put forward for stakeholders and decision makers at the local and national government level, as well as the Kurdistan regional government. 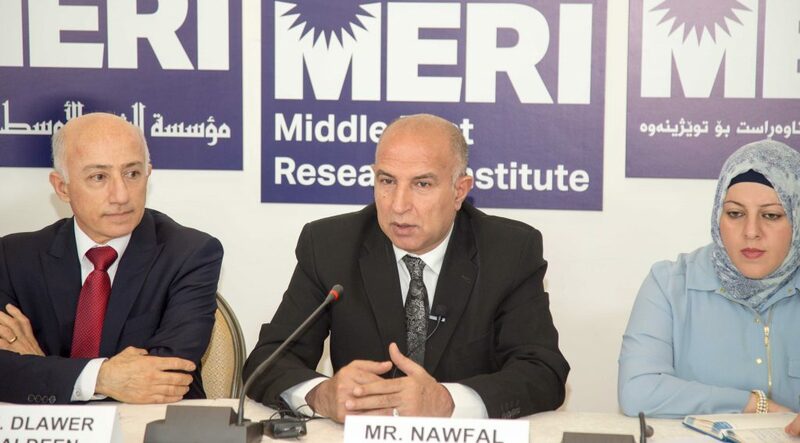 Rebuilding trust between citizens and authorities and between Erbil and Baghdad was considered crucial for the success of the Nineveh recovery process. The importance of the private sector and private investment were also stressed for the reconstruction and ultimate recovery of Nineveh.